This way, both therapies can be safely used together to combat both acne and discoloration, while also preventing and correcting anti-aging concerns. The blue light of SAPPHIRE kills acne causing bacteria while the red light of PERFECTIO minimizes the pores and the sabaceous glands which cause the excess oil production. Together, they form a complete skin care combination to fight acne, minimize pores, and prevent anti-aging. Acne treatment can be tricky, so many people with acne problems are turning to non-prescription LED light therapy for skin treatment. 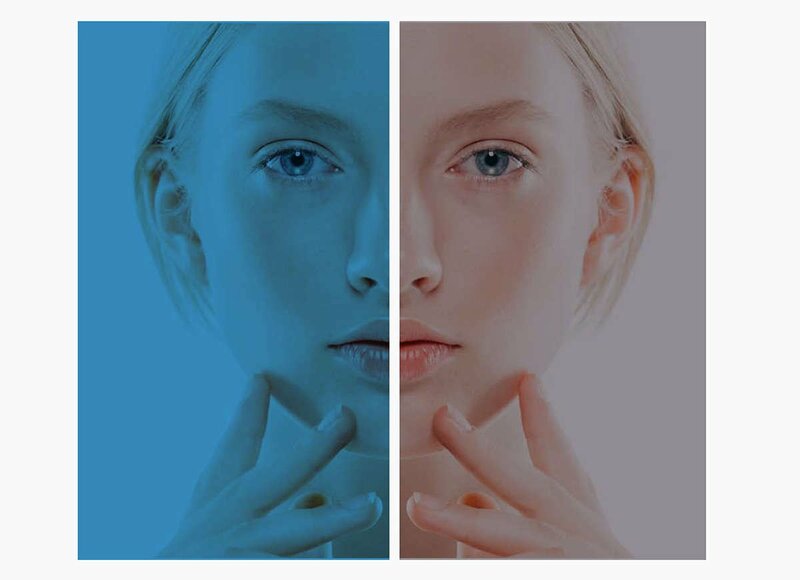 Through a combination of Blue light therapy and Red light therapy, this protocol is the most sophisticated rejuvenation technology on the market today to treat acne skin conditions. Best of all, it’s natural, pain-free and affordable. LED light therapy is a skin rejuvenation treatment using non invasive, non ablative Red light therapy, Blue light therapy and Infrared light treatment for anti aging skin care, facial wrinkles, acne treatment, body improvements and more. LED is a safer, more effective and affordable alternative to laser treatment. Infrared (invisible) light therapy treatment is used in conjunction with Red light therapy and Blue light therapy for a wide range of skin rejuvenation purposes including facial rejuvenation, facial wrinkle treatments, acne treatments, acne scar treatments. Skin rejuvenation often seems out of reach because so many “solutions” are ineffective. That’s why many people turn to LED light therapy, the most effective, non-invasive skin rejuvenator system on the market today. From anti aging treatments and acne scar treatments, a combination of Red, Infrared and Blue light therapy is the solution for clearer, younger looking skin. Independent clinical study was conducted by Princeton Research Division in Princeton, New Jersey. The clinical trial was done with 35 live subjects for the period of 24 weeks (6 months). The results of this study indicated that using the device , as instructed on our manual, shows a reduction in Mean Total for Open Comedones with 83.52%. A reduction in Mean Total Closed Comedones with 96.14% . The Mean Total Papule counts reduced by 72.96%. Lastly, Mean Total Pustule counts reduced by 90.06% . All that at week 24 compared to baseline totals.